Inria publishes the Cybersecurity White Book. Avalon security activities are briefly discribed (page 127). Digital transformation opens up a wealth of opportunities, but it also leaves our IT systems and personal data increasingly exposed to attacks. Whether it’s governments or major operators, the risks are substantial from both a human and an economic point of view. 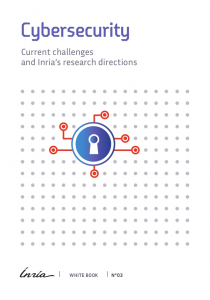 With this in mind, Inria has unveiled a new white paper on the subject of cybersecurity, the goal being to take stock of the major scientific challenges and raise awareness of the importance of the issue.